No doubt that Filipinos love to eat. For decades A lot of restaurants have been sprouting, each of which provides different dishes from different culture and race. 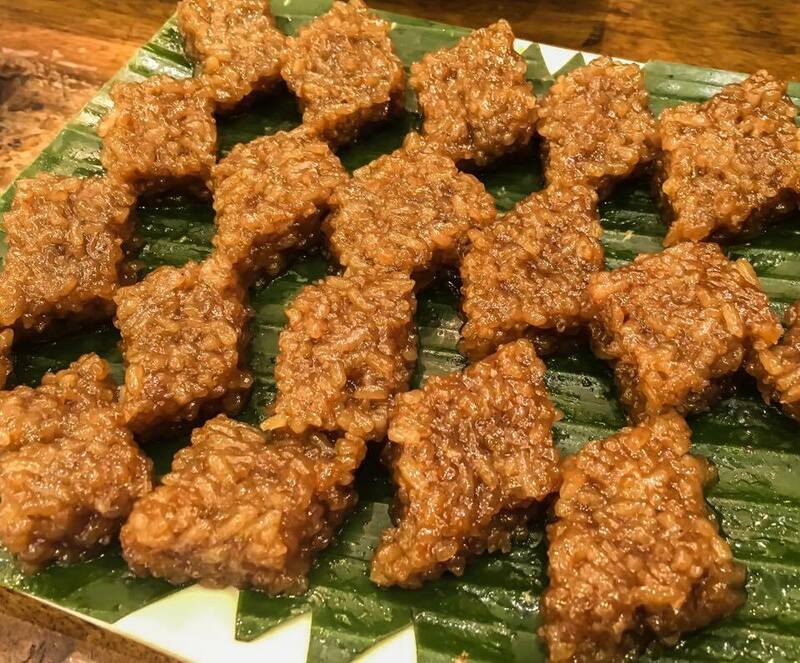 A lot of cuisines have been introduced to Filipino taste buds but nothing beats the traditional Filipino dishes that uses local ingredients. 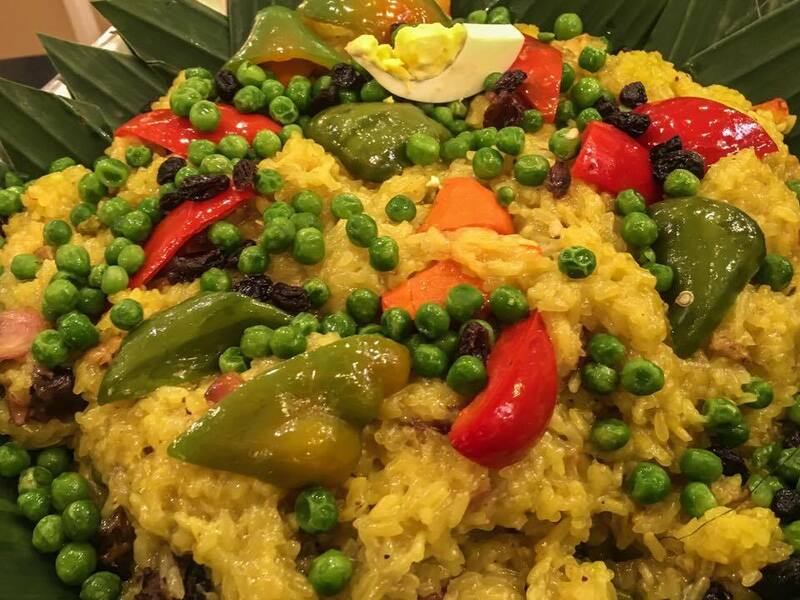 We at Travel Eat Pinas love to savor Filipino dishes from Adobo to Paella to Biko for dessert and the more we can eat this dishes the better! 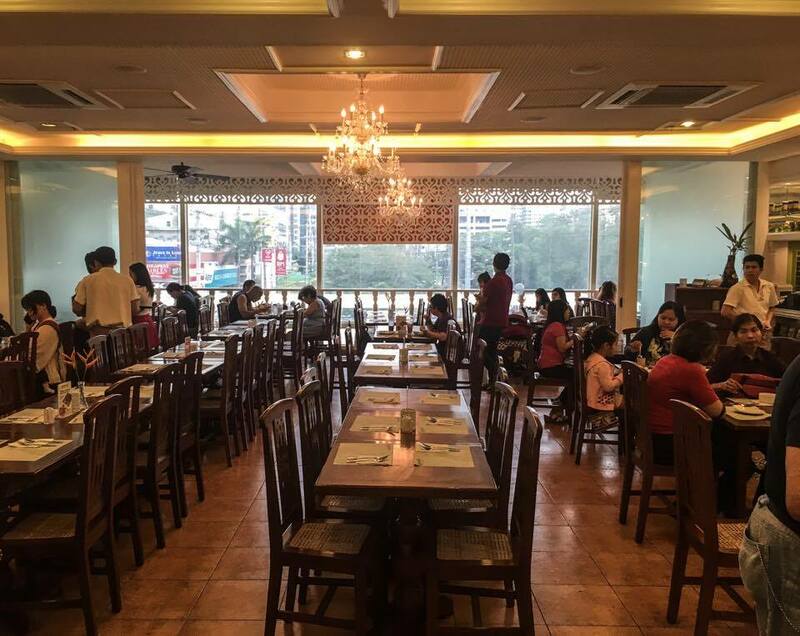 Whenever we crave for an eat all you want and all you can Filipino dishes that fits our budget, we have one Restaurant in mind, the Cabalen Restaurant. For three decades Cabalen Restaurant provides Filipinos Eat All You Want and All You Can Capampangan dishes. Cabalen started in San Fernando, Pampanga in 1974. It started as small Bahay Pasalubong Restaurant serving Filipino dishes. Later on, it became a "carinderia" or a small eatery where people choose the food they eat based on the available dishes on their counter. By 1986, it became an Eat All You Can, Eat All You Want Restaurant in West Avenue, Quezon City. 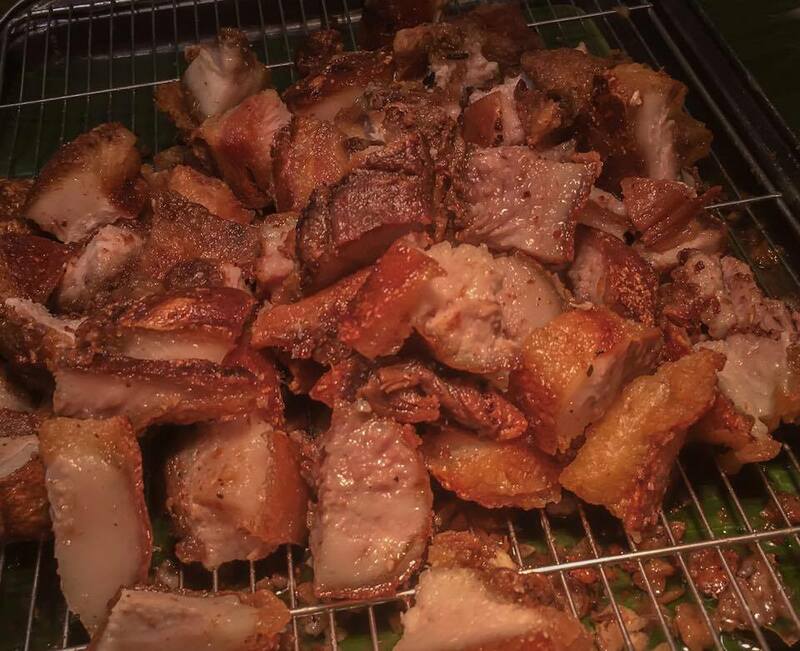 To date, Cabalen serves All-Filipino and Filipino Asian Buffet. 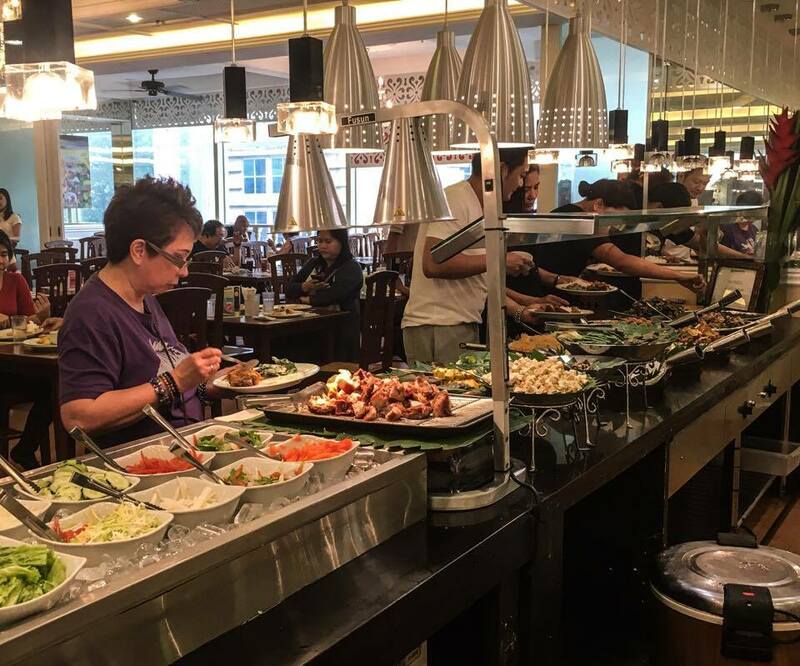 14 branches serve All-Filipino Buffet while three serves Filipino-Asian Buffet. 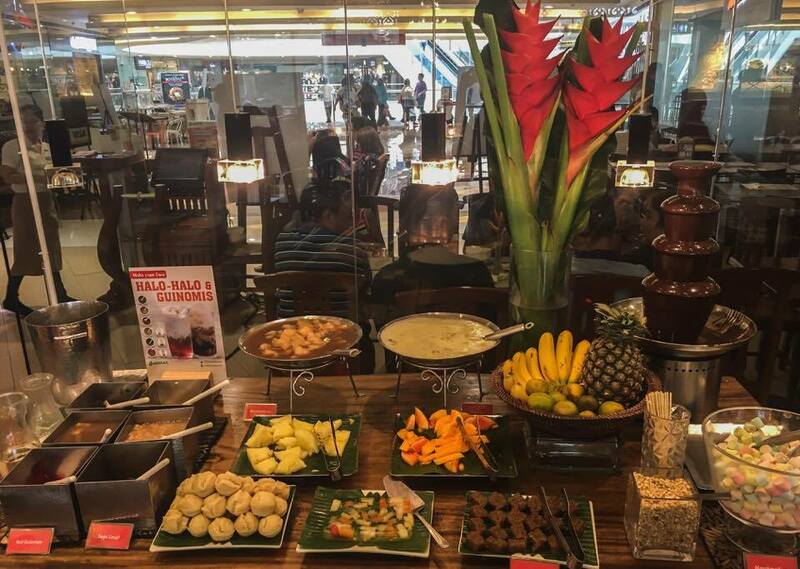 All Filipino Buffet serves Filipino dishes and desserts and costs PHP 298. 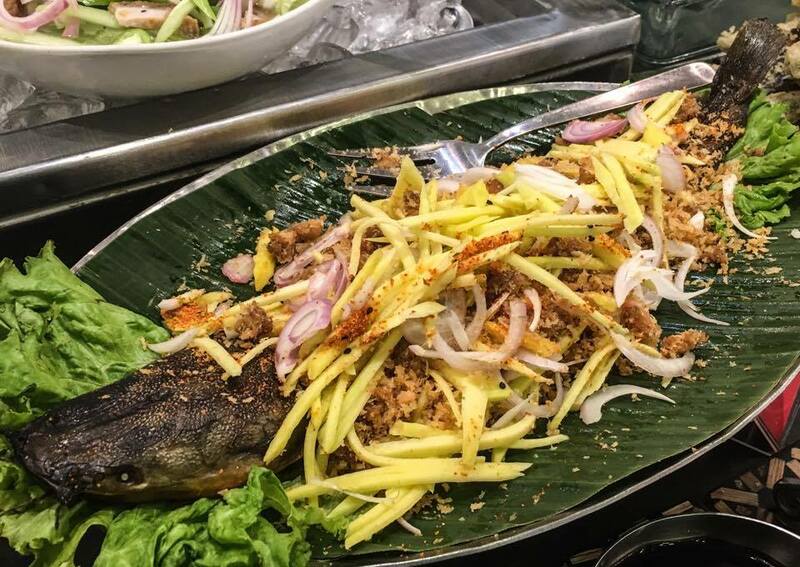 The Filipino-Asian serves a combination of Filipino dishes cooked the Capampangan way and selected Asian cuisine that satisfies the taste buds of most Filipinos. 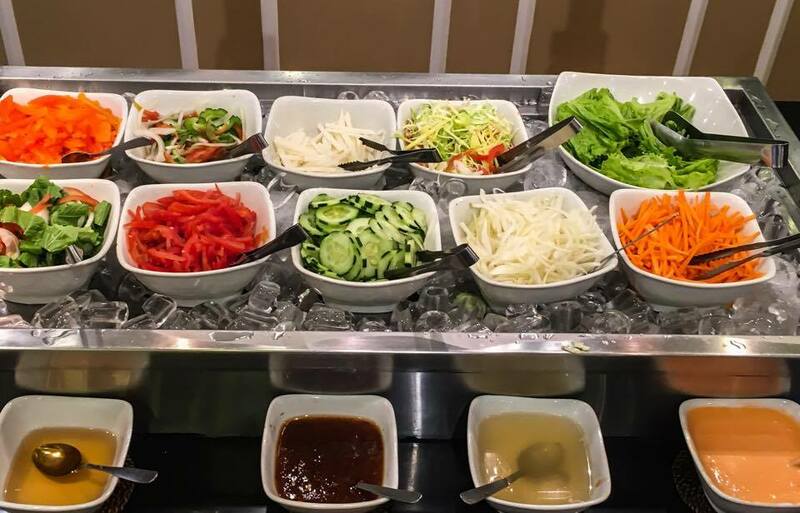 Filipino-Asian Buffet costs PHP 398. For us, entering Cabalen Restaurant give us the vibe of the Philippine-Spanish Era. Cabalen is like a house during the Spanish regime in the Philippines. The wooden chairs and tables, paintings and wall decor remind us of the houses described during the Spanish Era. Cabalen Restaurant depicts a house during the Philippine-Spanish Era. Cabalen has different stations that offer different Capampangan dishes and Asian cuisine. Our favorite stations are the dessert and main dish section. Try the wide range of dishes served in Cabalen Restaurant. 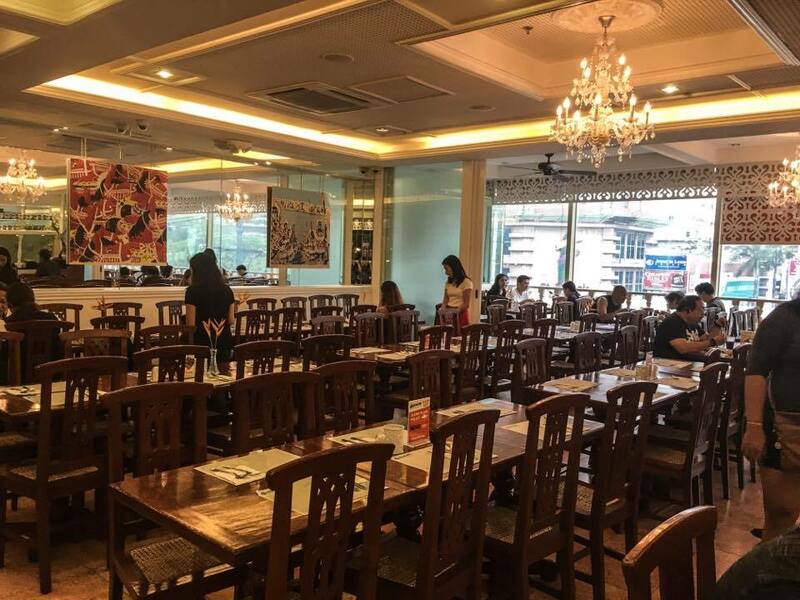 To guide you on having a great Cabalen Restaurant Eat All You Can and Eat All You Want experience, here are some of the stations that you can drop by while staying in Cabalen Restaurant Filipino Asina Buffet. 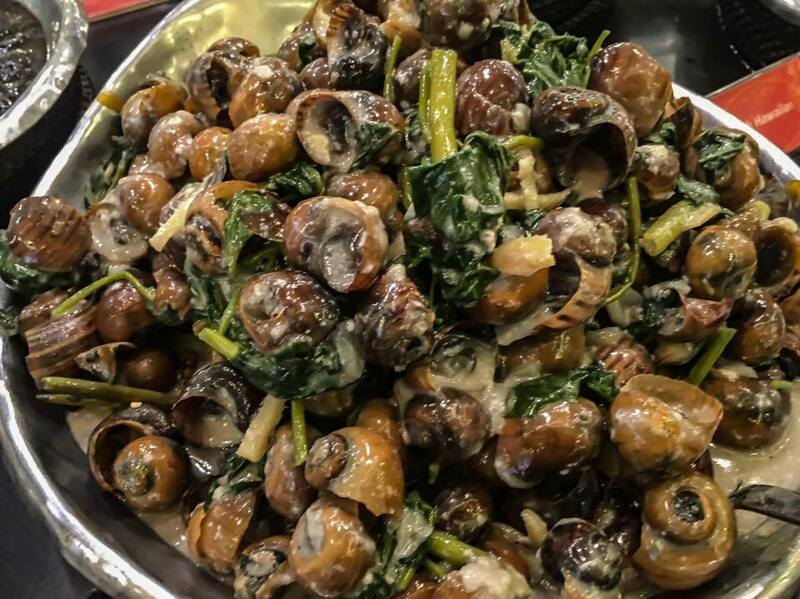 To stimulate or kick off our appetite for Filipino and Asian buffet. 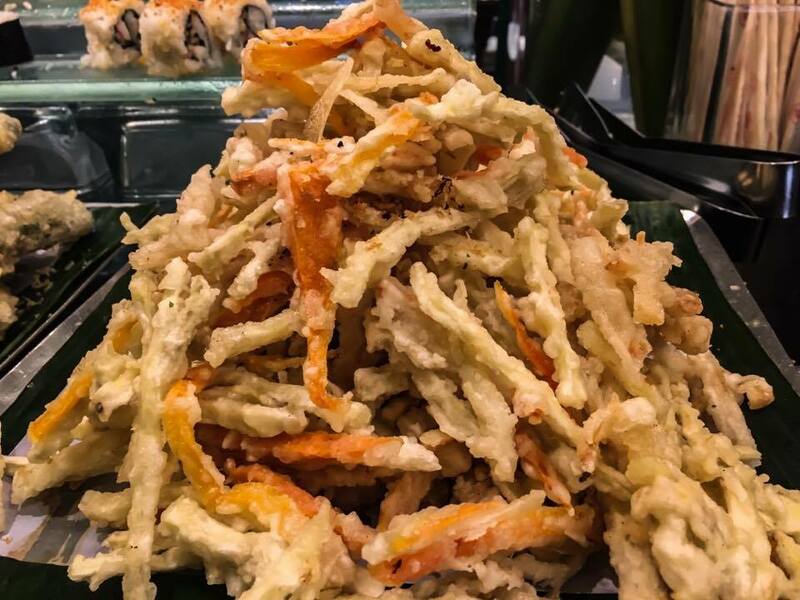 We always head straight to the Appetizer Station. 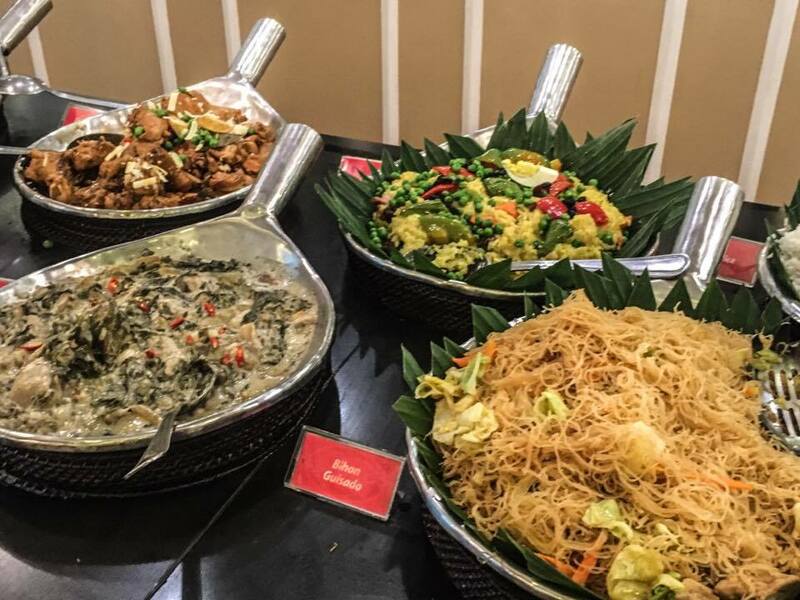 Cabalen's Appetizer Station composed of their famous Crispy Kangkong or Water Spinach, Okoy Kalabasa, Kakiage or tempura with mixed vegetables, Catfish with Mango Salad, Lumpiang Hubad and Tokwa't Baboy. 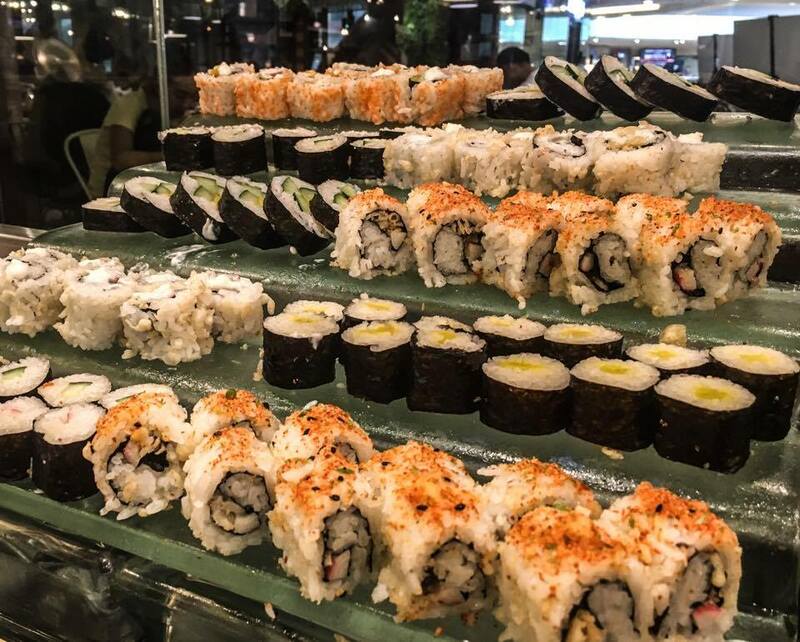 Aside from all time Filipino favorite appetizers, the buffet also serves maki and rolls. A visit to Pampanga and Cabalen Restaurant is not complete without tasting their Ensalada. Ensalada is the Spanish version of salad and Cabalen offers a wide variety of it. Our favorite ensalada are the ones with Steamed Vegetables. 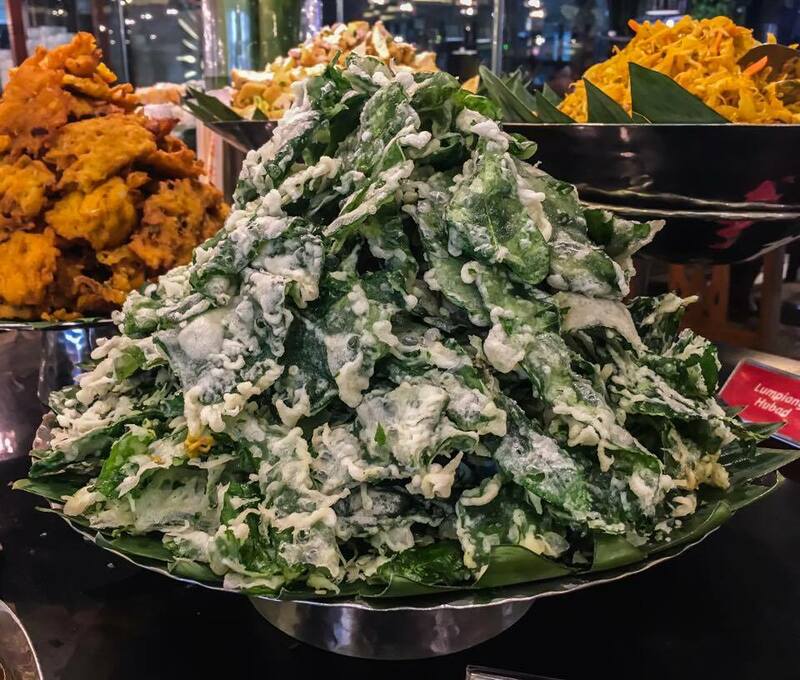 Aside from ensalada, Cabalen's Filipino Asian Buffet has make your own salad with dressing. Here's where we make a lot of stopovers! 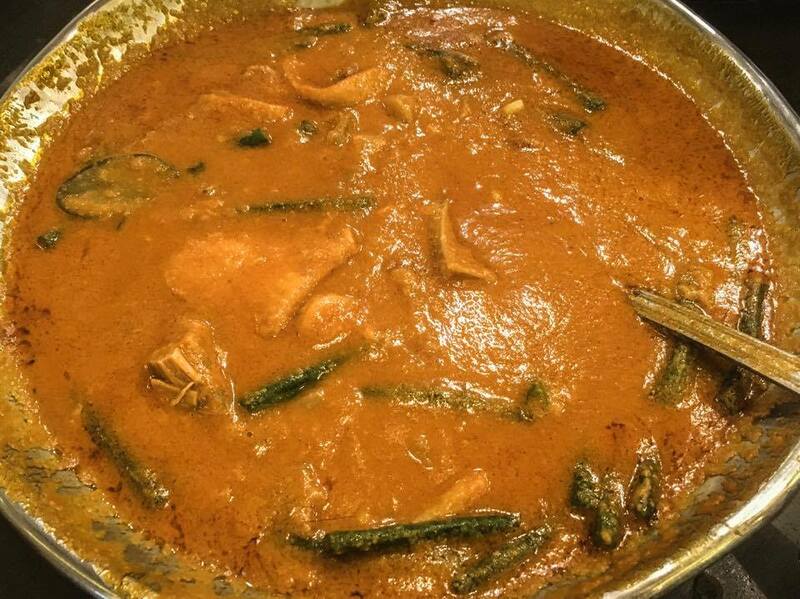 Filipino dishes cooked the Capampangan way lined up on this station and our visit is not complete without tasting Cabalen's Kare-Kare. 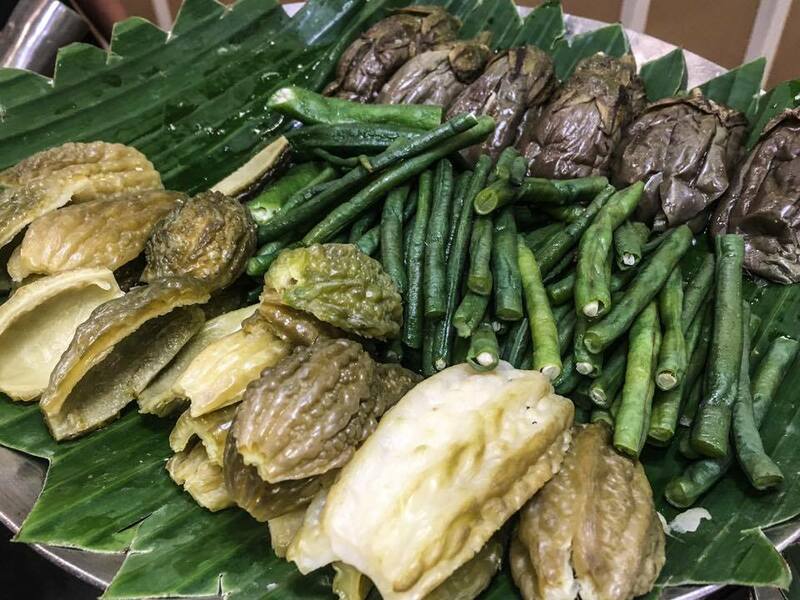 Aside from Kare-Kare we also love their Gatang Kuhol or Snails in Coconut Milk, Pancit Bihon, Gatang Laing and the mouthwatering Lechon de Leche. GATANG LAING, BERINGHE, GATANG LAING and PANCIT BIHON. 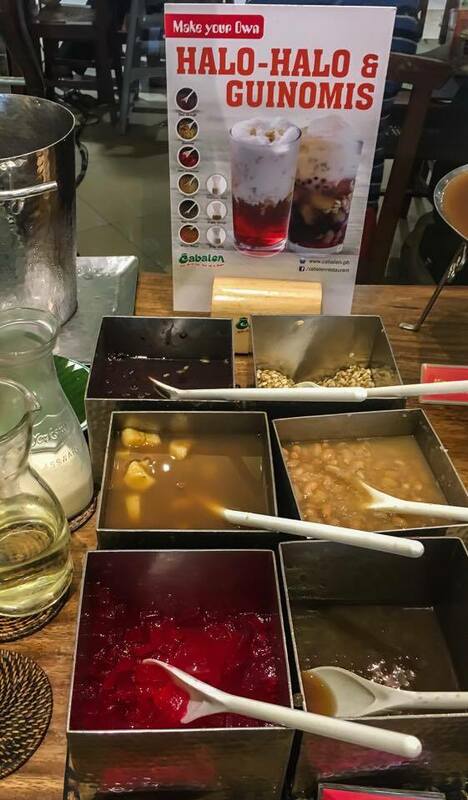 Halo-halo, Bico, and Sampelot are our favorite desserts and all of this are available in Cabalen Restaurant. You can make your own version of halo-halo and savor your favorite Filipino desserts while staying in the restaurant. VARIETY OF DESSERTS AVAILABLE IN CABALEN RESTAURANT. 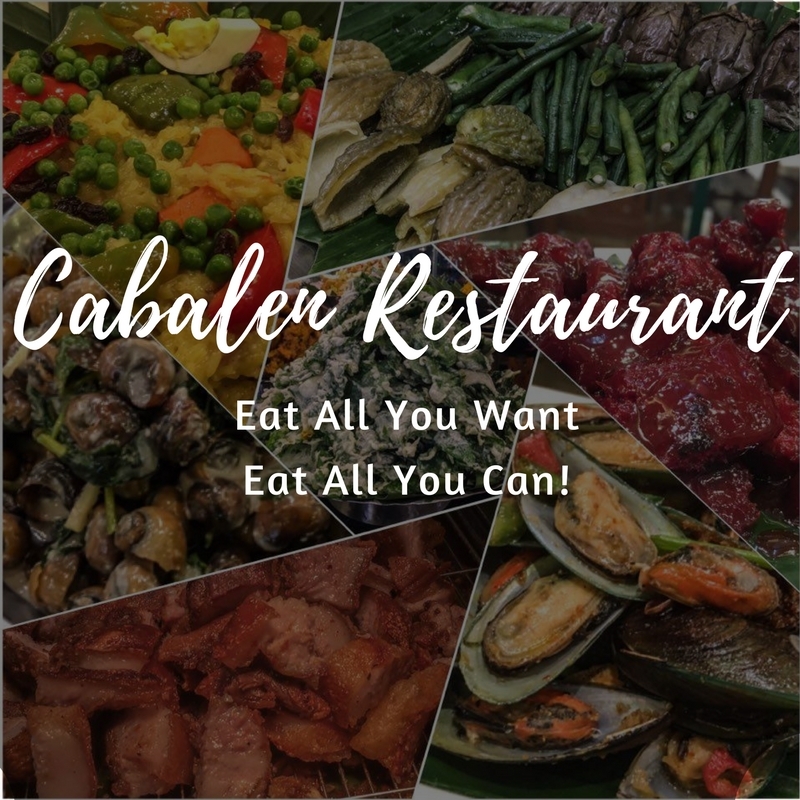 For three decades Cabalen Restaurant satisfied Filipino craving for authentic and traditional Capampangan dishes with their Eat All You Can and Eat All You Want concept. 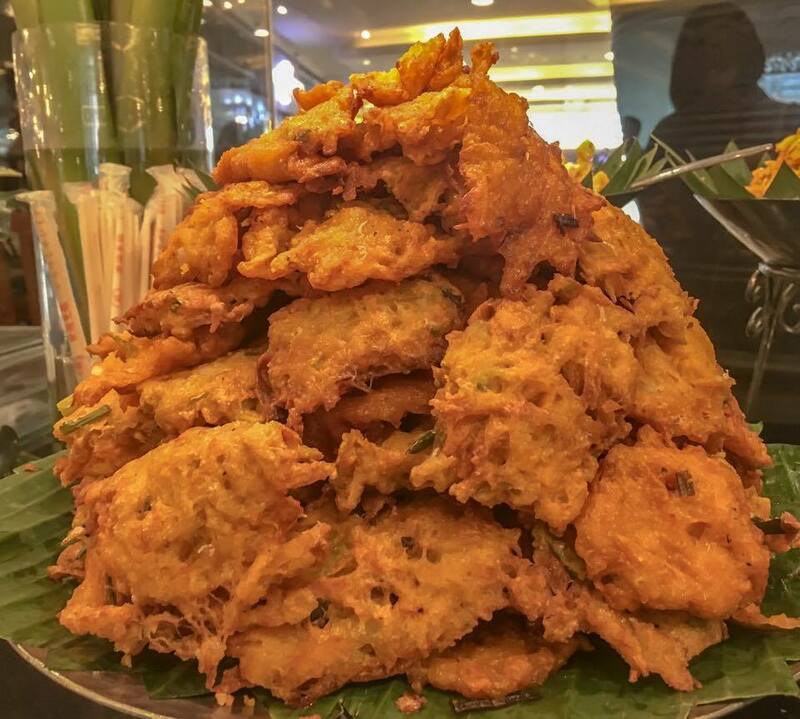 The buffet has different stations with a wide range of available dishes and the price of the buffet is affordable. 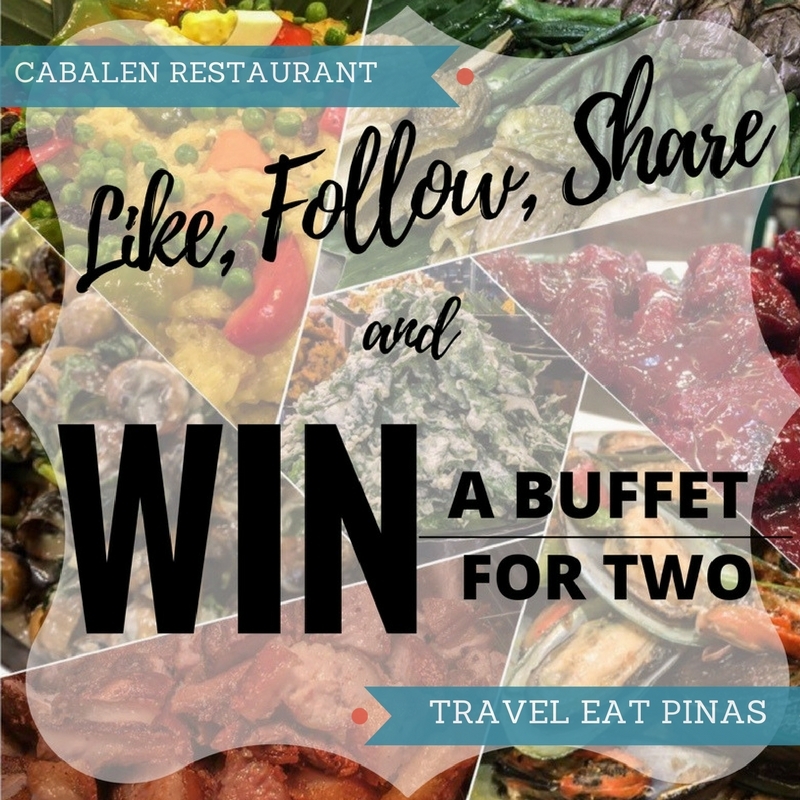 In celebration of Cabalen Restaurant's 30 years of providing traditional Capampangan dishes and specialties to Filipinos Travel Eat Pinas and Cabalen Restaurant is giving away TWO BUFFET PASSES to ONE LUCKY WINNER this MARCH!